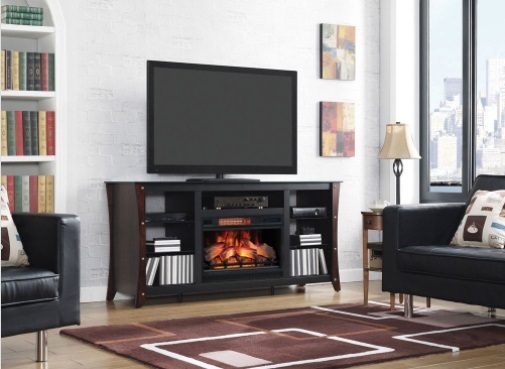 Constructed with chic fashion and efficiency of 21st century modern furniture, the Marlin media mantel and electric fireplace makes a top-of-the-line living room focal point. 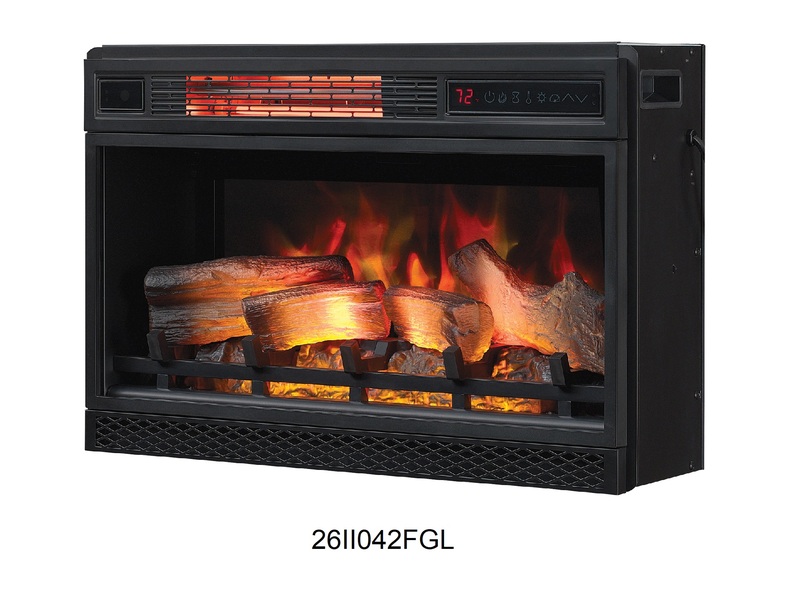 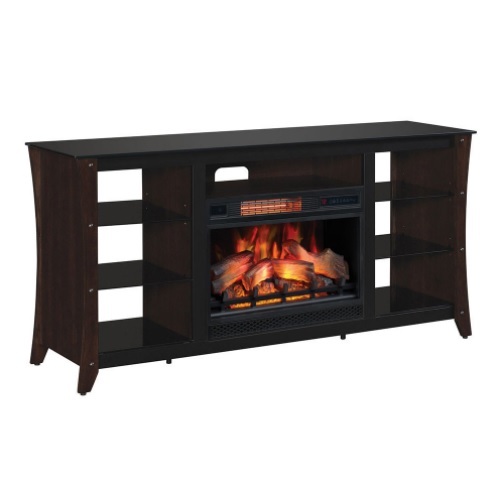 The elegantly shaped sides of this media cabinet, metal surround and black tempered glass creates the perfect backdrop to a marvelous ClassicFlame 26" Electric Fireplace Insert - a modern appeal of your dreams! 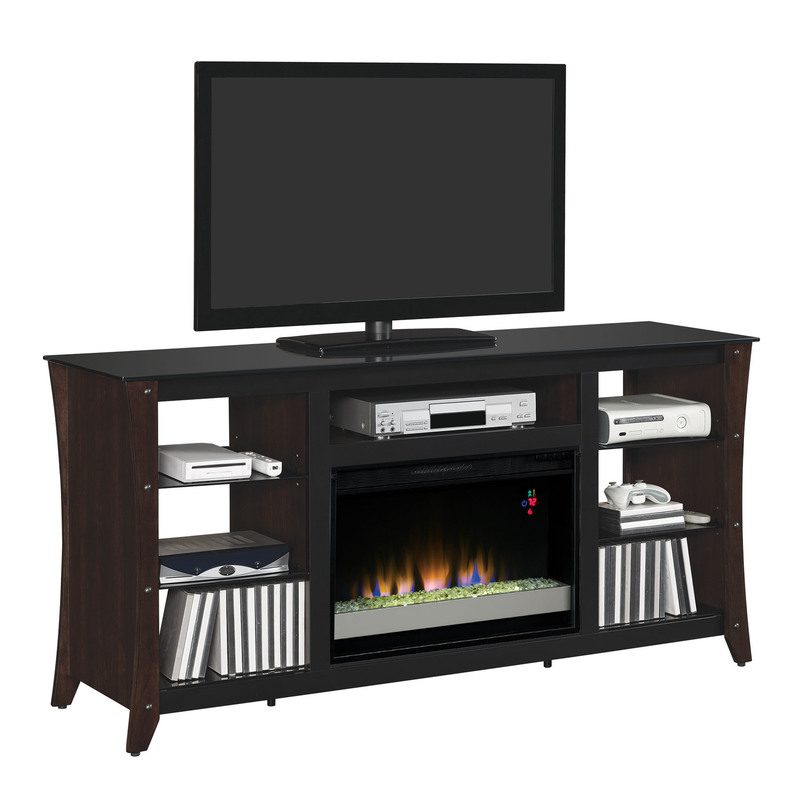 Built with the sleek look and compatibility of 21st-century contemporary furniture, the Marlin TV stand makes a cutting-edge living room centerpiece. 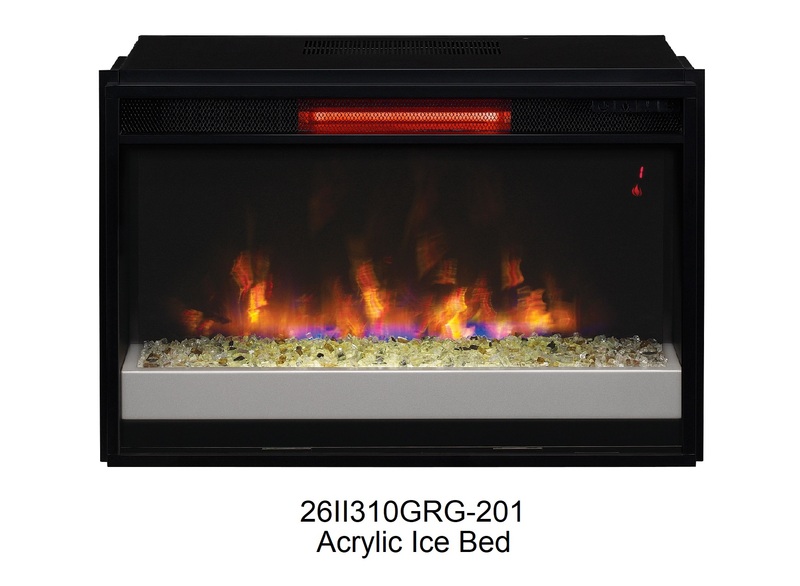 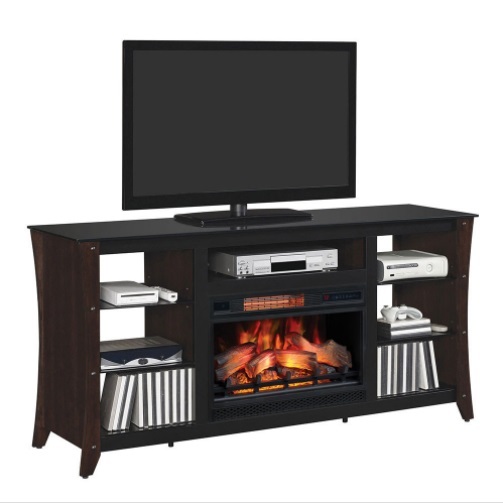 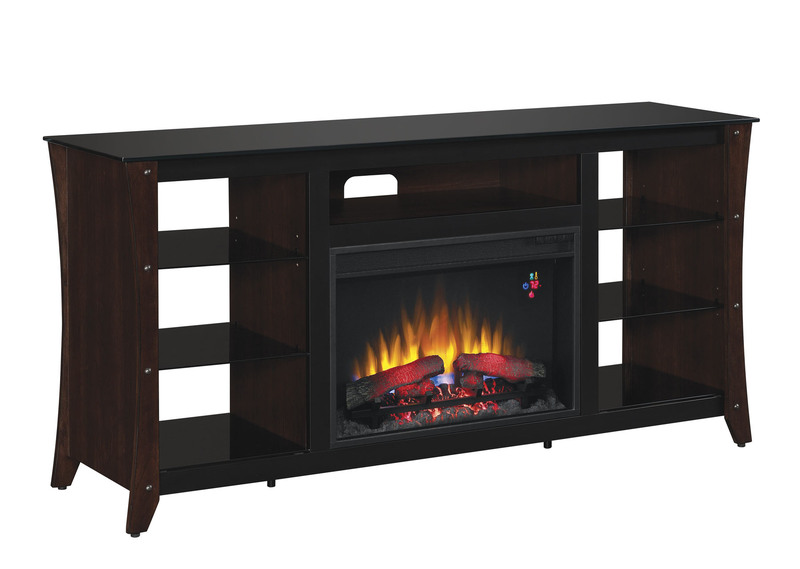 The curved sides of this TV stand, black tempered glass, and metal surround and complement the ClassicFlame 26" electric fireplace insert's modern appeal.